The lights, the carols, the giving, the happy ending…I’m a sucker for all things Christmas! A few years ago I let go of the Christmas craziness, and decided to focus on what really matters, and this Advent spiral walk brings all of those things together in an absolutely wonderful night. Advent includes the four Sundays before Christmas, and is a time to practice patience and prepare your heart for Christmas. As the days grow longer, darker, and colder, it’s a time of inner searching, introspection, and anticipation. Advent celebrations can offer something for everyone regardless of religious beliefs or traditions. For Christians, it is a time to mark the journey of Mary and Joseph to Bethlehem, and the bright light born unto the world that shines on through Jesus Christ today. For others, Advent is a time to seek out the light in a world of darkness. To search within for your own light and find ways to let it shine. The philosophy behind a Waldorf education was developed by Rudolf Steiner and is based on an anthroposophical view and understanding of the human being as a being of body, soul and spirit. This quote from Steiner is popularly used to celebrate a Waldorf Advent, though I haven’t been able to find exactly where it came from. I find that it’s a beautiful way to acknowledge the natural world and deepen our connection during this waiting season. A note of consideration: We are not a strictly Waldorf family. I love some aspects of a Waldorf education and incorporate them into our homeschool, but I am sure we are not doing everything “right.” This is my own interpretation of a Waldorf custom that works for my family. I invite you to find what works for yours. What is a Spiral Walk? 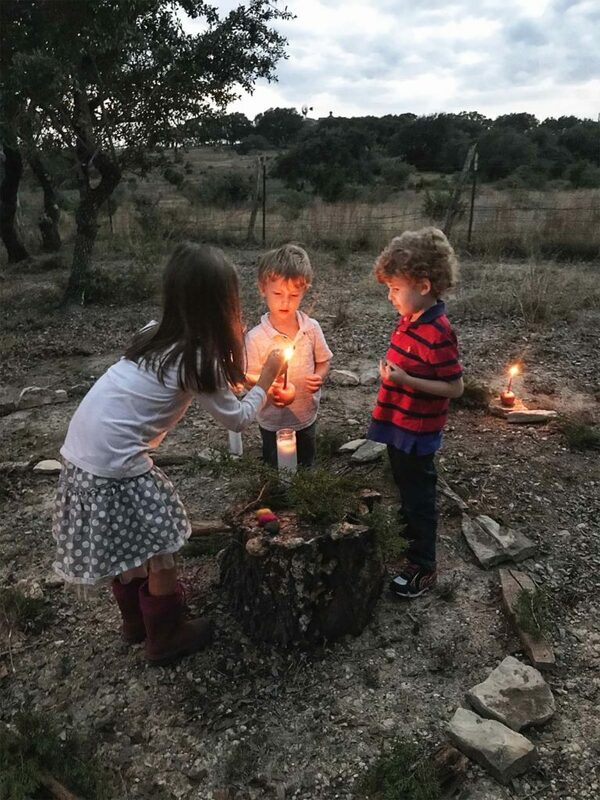 The winter or advent spiral walk is a tradition celebrated by Waldorf schools across the world that symbolizes finding light in the darkness. The spiral walk celebrates the turning point of the year where the days have grown longer, and we must look for the light within. This year we decided to do our own advent spiral walk at home and invite some friends and family to join us. Hosting a spiral walk is such a sweet way to celebrate the season, and bring meaning to what can be a hurried and over-scheduled time. Location of the spiral. We are blessed to live on acreage so we built our spiral out in the back of our property, but you could absolutely do this in a small yard or even your living room. Building the spiral. We built our spiral with large rocks, split cedar logs, and cedar branches because that’s what we have. Any combination of sticks, rocks, evergreen boughs, leaves or whatever you can find would be lovely. Candles. Traditionally, a large candle is set in the middle of the spiral. 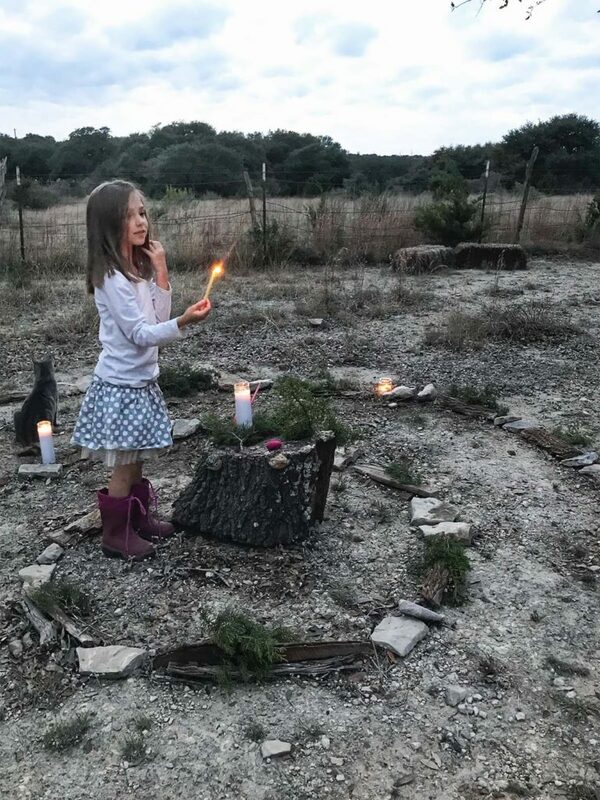 Children will walk to the center of the spiral, light their own candle, and then leave their candle somewhere along the path on the way out. 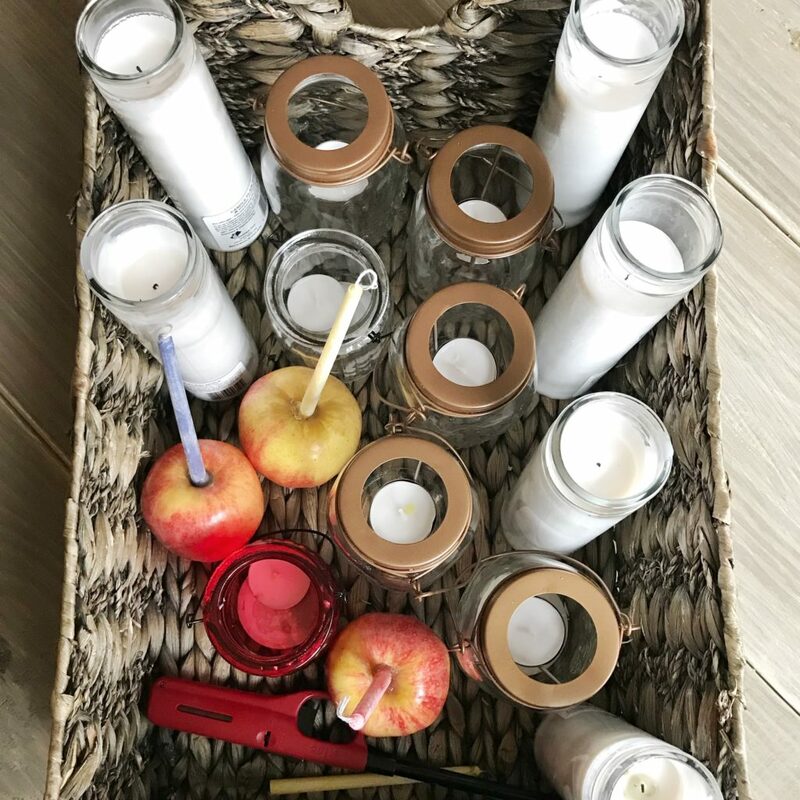 We used tall white church candles to light the path and in the center, and gave the children apples with small candles to light. Songs. We sing songs while gathering for the spiral. Songs about advent, light, or traditional Christmas carols are all perfect for this time. During the spiral, a soft guitar playing during the spiral would be my ideal, but since I don’t know anyone who can play, we do it in silence. You can find a few of our favorite songs for a spiral walk here, here, here, and here. Story. Stories are a part of the Waldorf tradition, and they captivate a child’s imagination. All Year Round, The Festival of the Stones, and Tell Me A Story are great sources for stories, or you can draw on your own imagination. Food. We keep the food simple with a big pot of soup for everyone to enjoy after we come in from the cold. Salad from the garden, fresh baked bread, or fresh fruit make great accompaniments, but the key is having a no-stress meal! The advent spiral walk is a reverent and spiritual tradition. Gather the children and set the stage for what is about to happen. Give them the basic details, but don’t feel the need to explain everything. 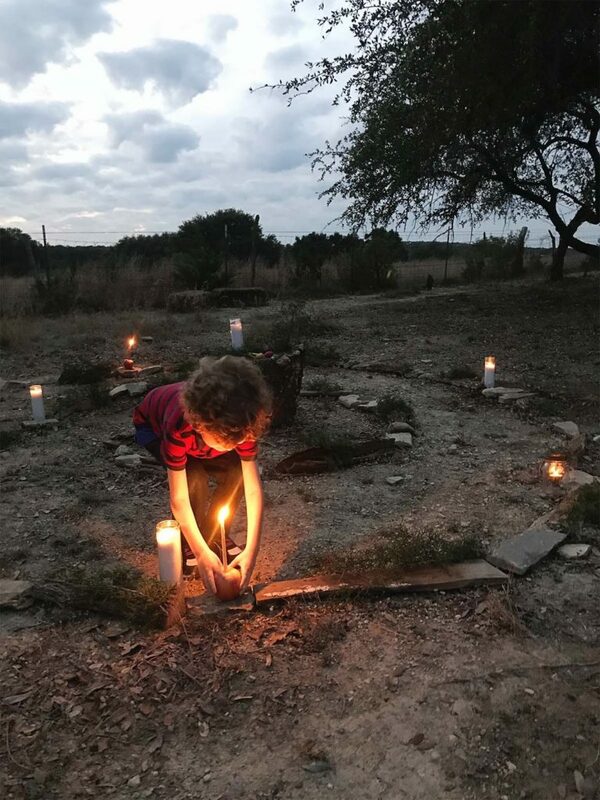 The spiral walk is an experiential activity, and the goal is for the children to make their own connections and find their own inner light. Children of kindergarten age and older can walk the spiral alone if they are able. The child walks the spiral at his own pace, in his own way. There can be an “angel” adult close by to assist if needed, but the walk should be done solo when possible. Walking the path in near darkness, near open flames, and lighting his own candle is an exercise in quiet confidence. It might sound risky, but children are remarkably adaptive and learn very quickly the steps needed to perform the task at hand. We can gain so much by watching our children during this walk, and our children will learn from watching the others. 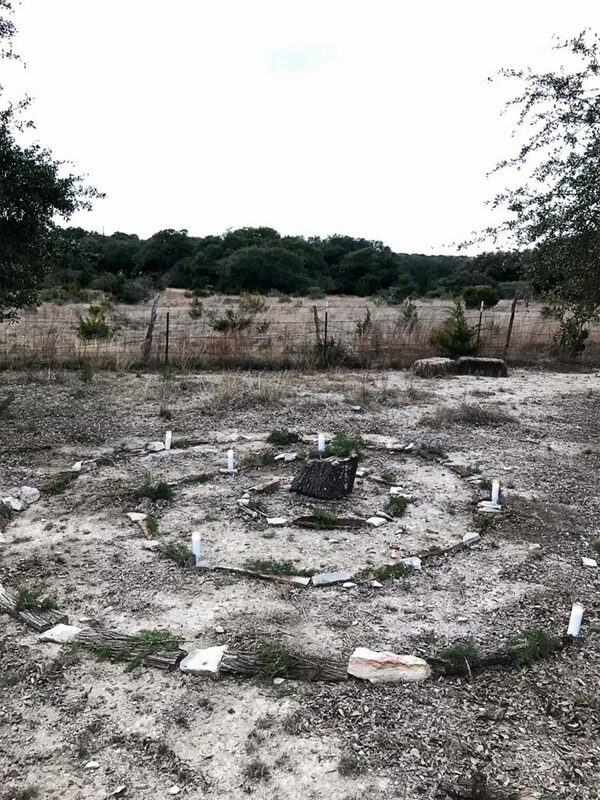 Participants can leave an offering at the spiral- a rock during the first week, a pinecone or acorn the second week, perhaps a feather the third week. Or some might choose to say a prayer at the center of the spiral. Once the spiral has ended, each family may choose to have a moment of quiet or prayer before gathering for the story. The spiral is left intact and candles burning until the children have left the area so that the magic isn’t spoiled by cleaning up. Be sure to instruct the adults to keep talking at a minimum, and to enjoy the moment through their own eyes instead of a camera. We start our celebration late in the afternoon, and while we wait for it to grow dark we do an activity as a group. 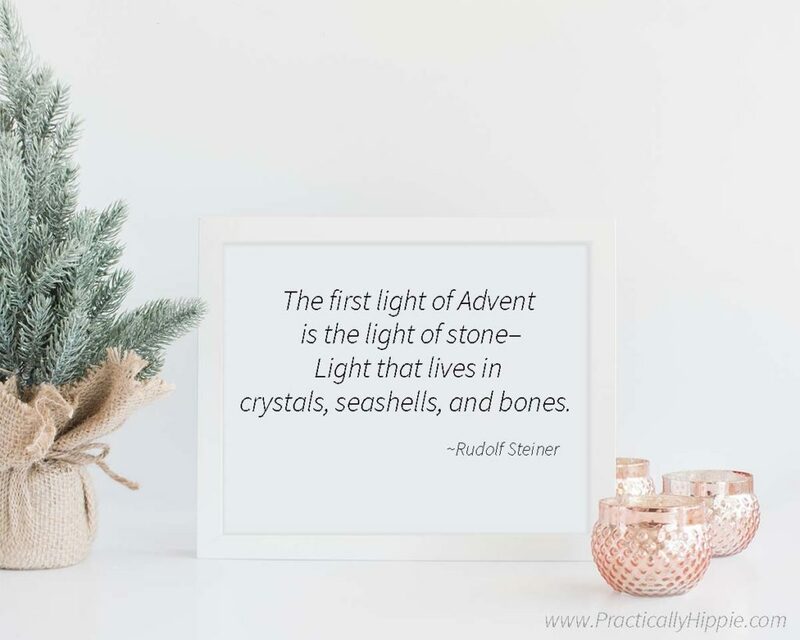 We are using The Light in the Lantern to tell the story of advent (from a Christian perspective) based on Steiner’s festivals of stones, plants, animals, and humankind. The book has seven stories for each week of advent, and each of them is short and can easily stand alone, which makes it a great option for a group gathering. Each week we’ll read a story or two, and then do a related activity. 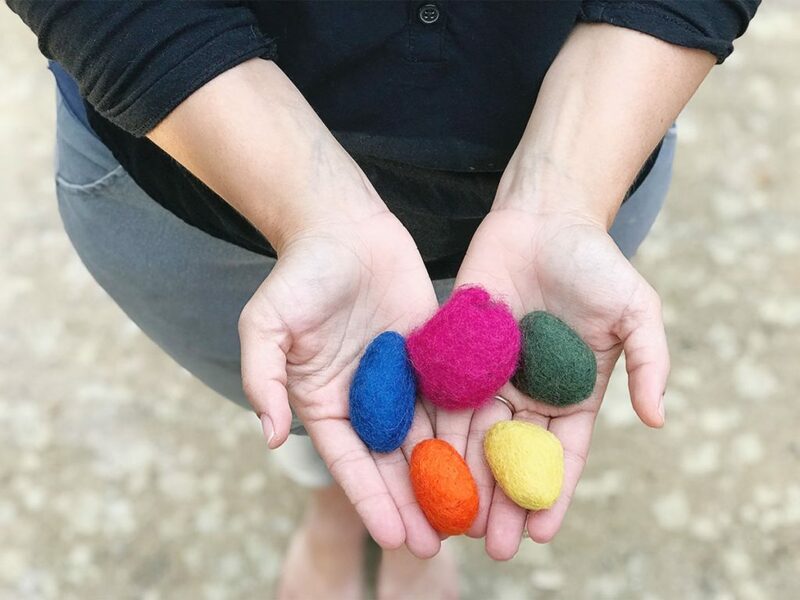 First week of advent: Wet felted stones. I’ll have to do a separate post with some tips and tricks, but here’s a good tutorial of how to do it, except we used real rocks in the center. The second week of advent: Plant indoor bulbs. The third week of advent: Roll beeswax candles. The fourth week of advent: Paint wooden peg nativity dolls. Advent is such a special time, and a spiral walk is a tradition that can bring meaning and joy to this season of darkness. Keep it simple, invite a few friends to join you, and be blessed with a wonderful night. This was very interesting. 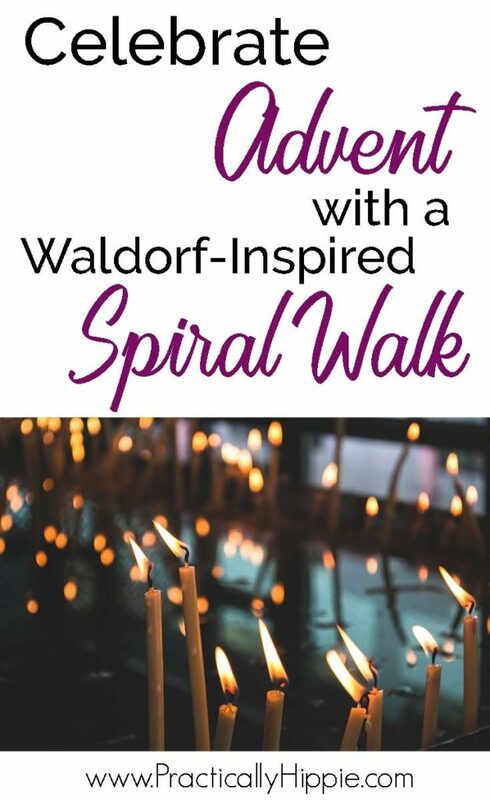 While I definitely celebrate Advent as a Christian, I love the idea of taking spiral prayer walks.